WEST COAST PREMIERE. Five mini-musicals take audiences on a ride through the songs that made the Gershwin brothers the most successful team in musical history. Starring: Rebecca Ann Johnson, Damon Kirsche, Ashley Fox Linton, Jeff Skowron and Rebecca Spencer. 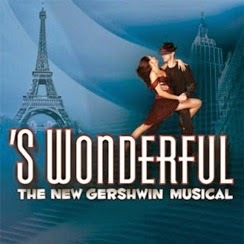 Presented through special arrangement with the Gershwin Family. HONORARY PRODUCER, Kathryn Baker Campbell; ASSOCIATE PRODUCERS, Richard Neri & Kurt Schulzman, Arlene Solomon, Marlene Temple and Joan Wells; YOUTH PERFORMANCE UNDERWRITERS, Ronald & Marcia Biang, Laura Killingsworth and Edward Parker.